I have been a huge fan of Teva Sandals for a few years now. The kids range are just brilliant and the adults sandals are pretty awesome too. Teva sandals are perfect for anyone planning on going on a winter sun holiday in the next few months. They are made for being active and walking in the sunshine in style and comfort. I can’t wait until mine hit the beach with the funky wedge styling going on. 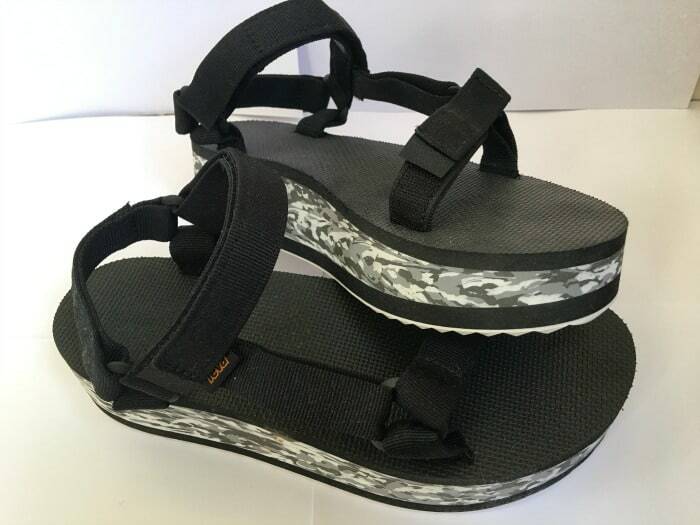 Teva have an excellent range of sandals for men, women and children. Take a look at the Teva women’s sandals available on Amazon now. We received 2 lovely travel games from University Games this month, and we are looking forward to playing them during our family holiday to Cornwall in February. 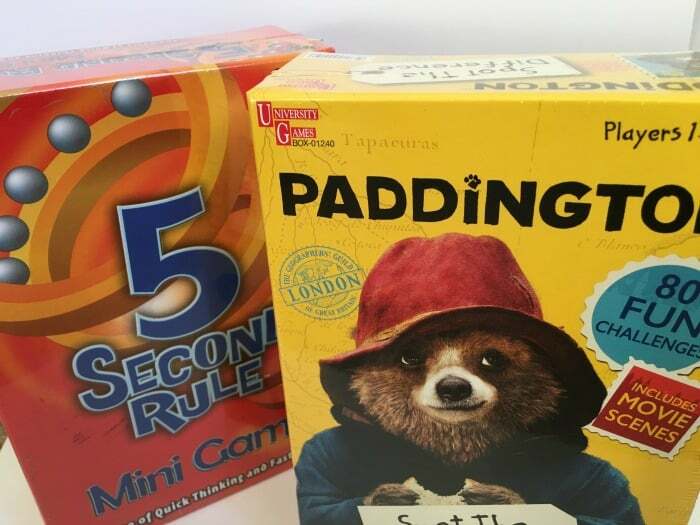 Paddington Spot The Difference is a fun game for one or more players with 80 spot the difference scenes to keep little ones busy. 5 Second Rule Mini is another family favourite where players are challenged to name so many items in the time it takes the timer to run out. Sounds easy until you try it! You can buy these and other travel games from University Games on Amazon. If you would like a chance to win these games you can enter my Facebook giveaway until 31st January 2018. This is a handy little product for travelling with children. I strongly recommend having one of these little 30g tubes in your bag when travelling to help with dry skin, sun exposure or other minor irritations. You can even use it as an overnight face mask and wake up to healthy smooth skin in the morning. 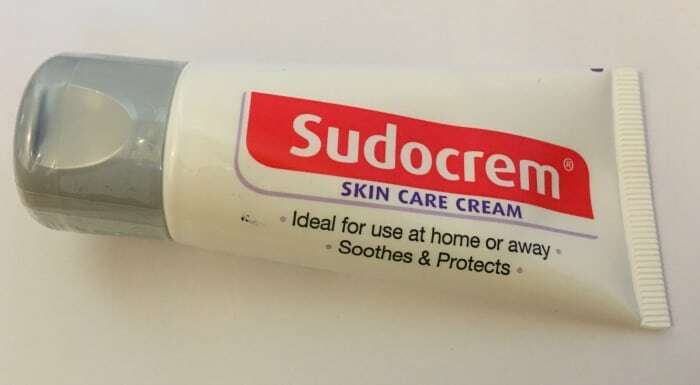 Sudocrem’s Skin Care Cream is available from Boots priced £1.99. Dealing with knotty hair is a constant battle in our house, but I think I might just have found the answer. 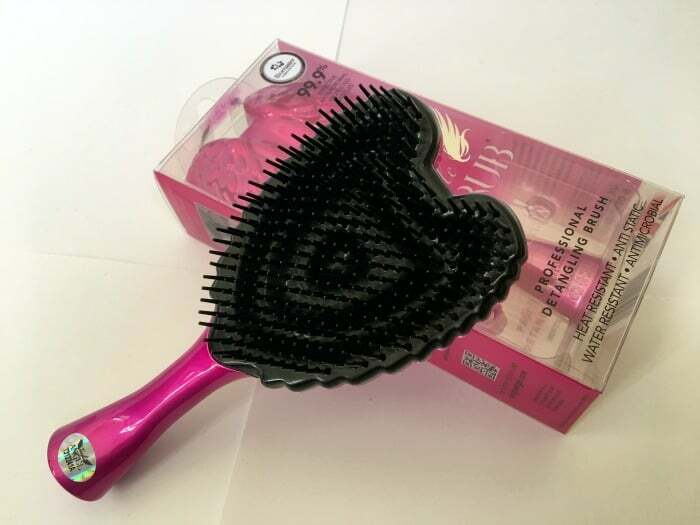 The girls love their new Tangle Angel Cherub brushes, and they are a big hit with me too. They are a great size for travel or taking to the pool and using after swimming. They are also antibacterial and anti static keeping hair healthy and lovely and smooth. Their innovative design also seems to be preventing lots of tears at hair brushing time too. The Tangle Angel Cherub is £9.95 from www.tangleangel.com. Great for whitening teeth and maintaining enamel strength. Great fragrances, perfect for camping and festivals or refreshing your hairstyle on the go. Made using a low PH formula to keep your intimate skin healthy and fresh. 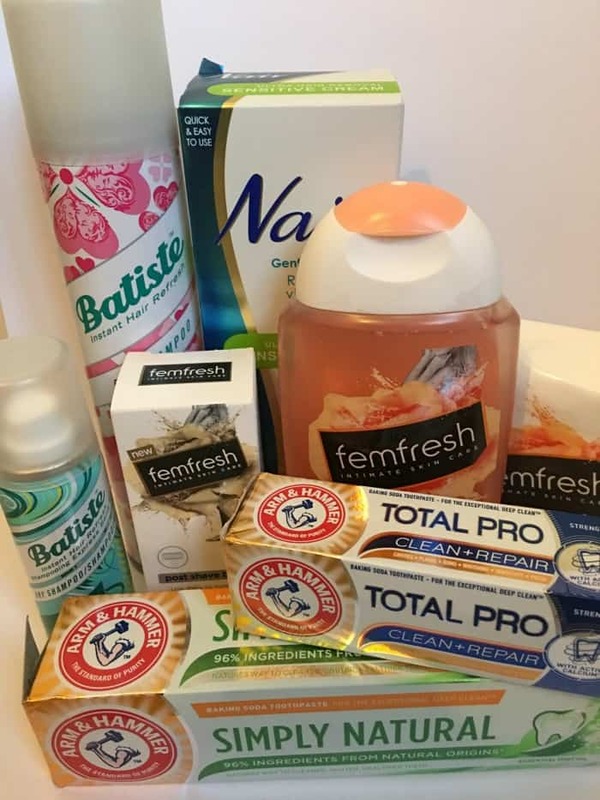 If you would like to win this set of toiletries for your next trip, you can enter this giveaway until 6th February. I’ve decided to feature Explore Cuisine here as I know lots of you are wanting to make healthier choices in 2018 or have food intolerances. 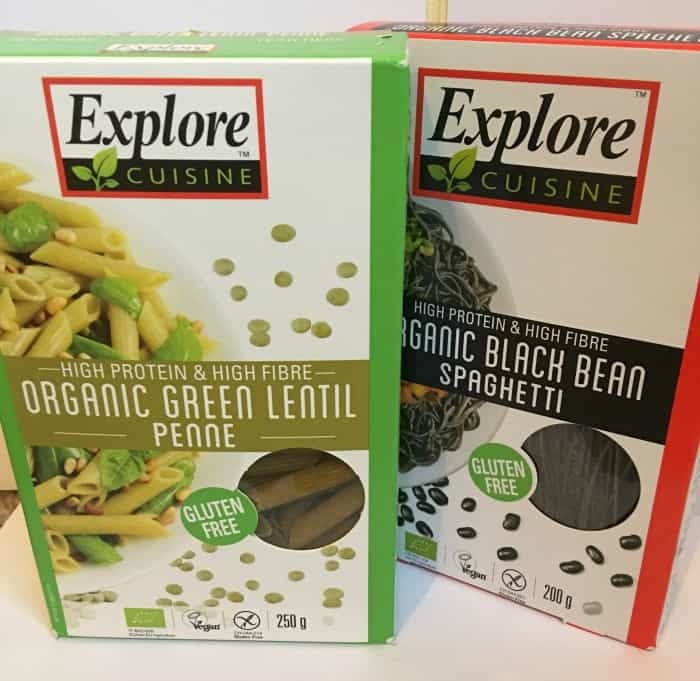 I’ve tried out the Green Lentil Penne pasta and Black Bean spaghetti this month, and they are great alternatives to pasta if you ask me. If you enjoy camping or go self catering because you have specific dietary requirements these boxes would work really well. They are a good gluten free, high protein version of the family favourite and are available from Asda, Sainsbury’s, Morrisons and Tesco priced £3.00 per box. Swimming is very much on our agenda this month, as we want to get Brook started with swimming lessons. We tried last year but for one reason and another it didn’t go very well. 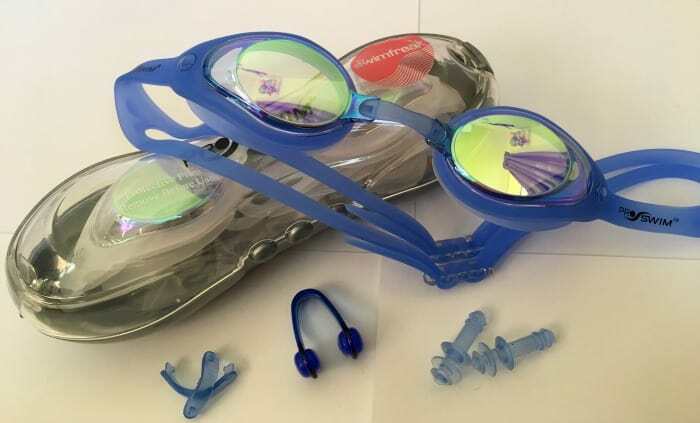 Swimfreak have sent us some of their awesome SharkFin goggles to help get her started and I think they are going to make a big difference. They are a super cool design and come in a really handy case with free nose clip, ear plugs and bridges. They are a water tight fit and anti fog also. The mirrored lens also provides clear visibility in the water. I think they are going to help get her back into swimming again without a doubt. One thing I would pack a lot of in my suitcase when the girls were small were baby food pouches. When kids are small you can never be quite sure how new foods are going to go down, so having a back up supply of food you know they are going to eat helps no end. 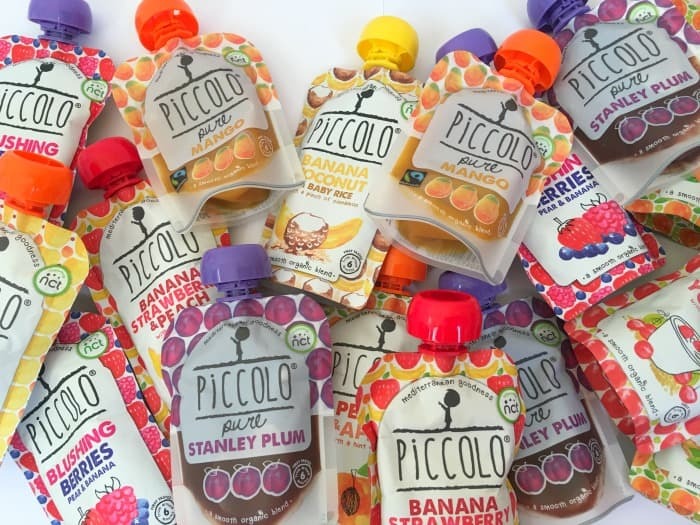 Piccolo baby food pouches are brilliant and even though my daughter is 3 years old she was happily sucking on one this morning before going to nursery. 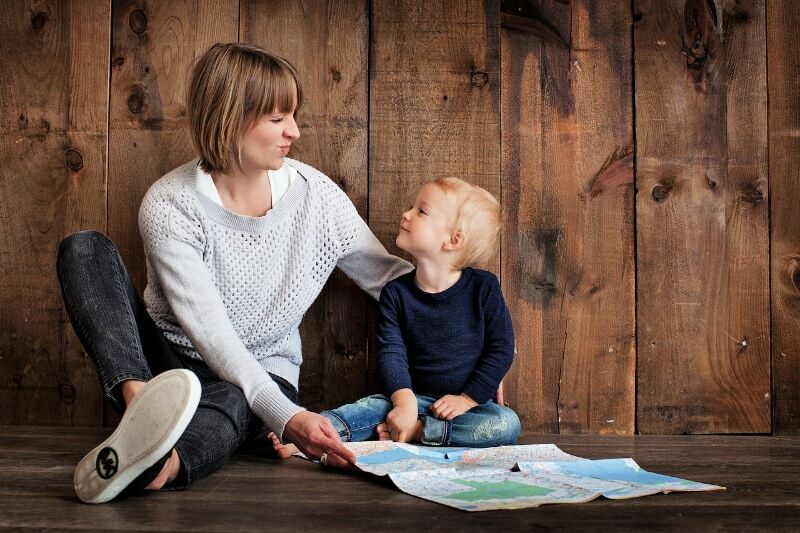 Piccolo pouches are a great snack for kids and perfect for travelling. The mediterranean inspired organic recipes are brilliant too, with flavours like peach and apple with a hint of basil, banana coconut with a pinch of cinnamon and banana, strawberry and peach with a hint of mint being the biggest hit. The Piccolo baby food range is available on Amazon and at a range of major stores including Asda and Morrisons. 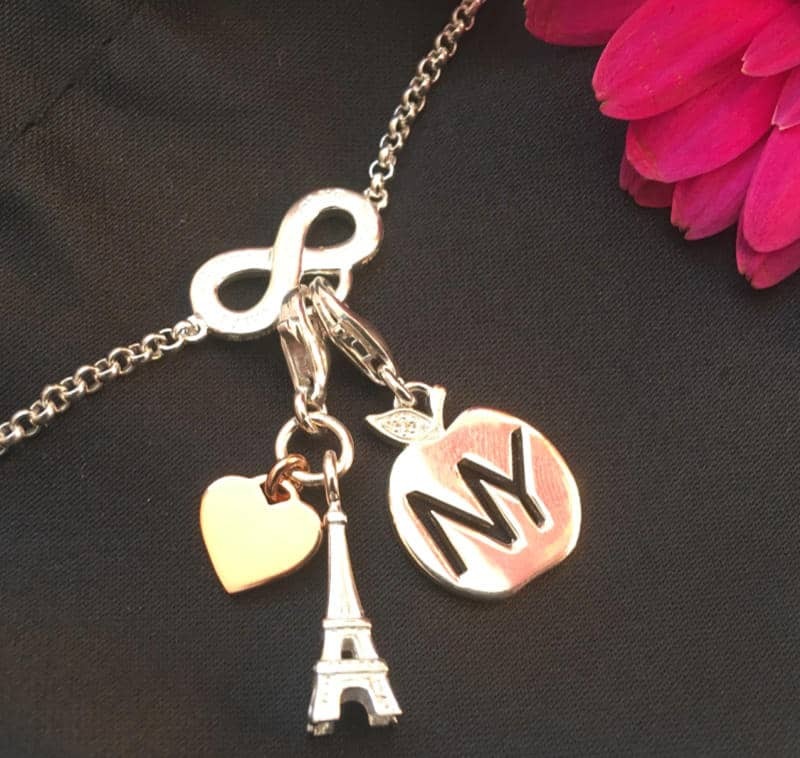 We have been provided with samples of the items discussed in this post, but all thoughts and opinions are my own. Teva sandals for children have really caught my eye after reading your post. They look great & would be ideal for our daughter this summer. I used to have a pair of Teva’s When I was younger. They were brilliant, so comfortable. Oh we love those tangle angel brushes! They are fab on my girls hair, they always get through the knots without pulling. It’s always good to find out about new gluten free products. We love Piccolo pouches too! I’m weaning my baby, so he has a fair few, but my 3 year old is quite partial to them as well. The Paddington Spot the Difference sounds like one for us too – we have Paddington Snap which has been a big hit, so another variation on the theme would be good! Baby food pouches saved our holiday one year when our youngest refused to eat anything abroad apart from ice cream. Thank goodness I had chucked a load in the suitcase as a backup! Fab selection! I love the look of those games! My kids would love them. There’s nothing worse than bored kids on a long car journey! I am loving the look of those bean pastas! I’ll have to look out for them in the shop! What a great selection of items. My two still eat pouches despite being 5.5 years and 20 months!Great idea to do a monthly round up.